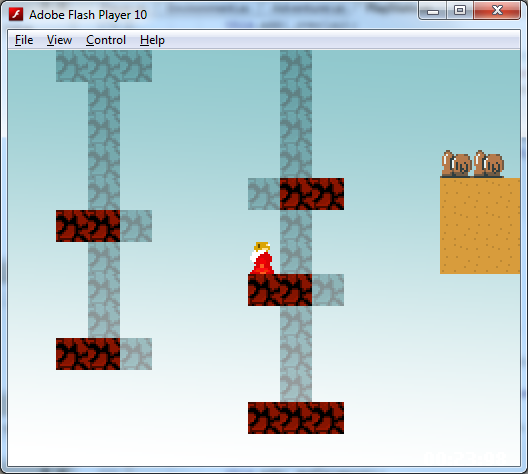 Play The Legend of Old Man after the jump. 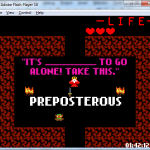 Play using the arrow keys (you can also jump with X or the spacebar). Type when prompted, and please excuse the terrible dictionary – it’s the best I could do during the short competition. Here is the game – you might need to click on it to give it focus. See original entry page for voting and more details. Also available: complete source to this project. 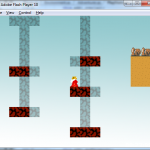 The Legend of Old Man was built in Flixel, using the FlashDevelop IDE. 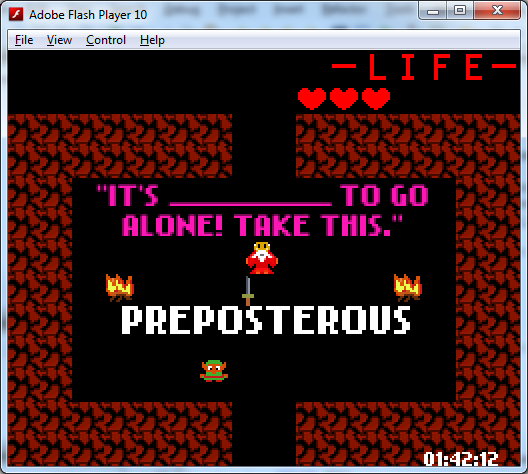 Photoshop and GraphicsGale provided drawing tools, and Tiled was the map editor. I used a short Ruby script (included in source) in order to help compile the word list. FL Studio was used for the “music”, and I used Audacity and Increpare’s lovely bfxr for the sound effects.